What I write today is marked as a review, but this is more of a description / unboxing, as it is exclusive edition of Carcassonne that I have purchased recently. Rules included in this edition are exactly the same as in standard Carcassonne, so below you will find just description of components. The game is packaged in protective packaging. I would like to share with you the project I have been working on past few weeks with a team of people from all over Europe. WikiCarpedia, the comprehensive multi language source of Carcassonne rules and references. Filling content it is still in progress, so bare with us. If you would like to join the team and help with translations to your native language, there is info how to join on the discussion page. Previous weekend I organised a little mega Carcassonne event. More as a training of facebook events. Unfortunately I have set up the time when game for third place in Russia took place, so we played with three players instead of expected 8. You may know about Carcassonne around the world series of Spin-Offs. Currently it consists of South Seas, Gold Rush and Amazonas. Newest one will be released this autumn in Leipzig and Essen game shows. You can read some about it now here on Carcassonne Central forum. Graphical style teleport us into Africa. I had a chance to play it last week during 1st International Carcassonne Meeting. While I am not allowed to describe much online (anyway, it was still a prototype) it is has some nice twists to scoring points. It generally follows the around the series approach. Some ways to easy scoring, little chance to be mean and steal or block. I will constrain myself from giving any opinions of posting photos until playing the final version. The only thing that I am afraid that I do not see (at this point) how this would attract new players to the series. Try to find some valid alternative. Consider, why this alternative is worse choice. Maybe it is not? Maybe there is some freebie available? Always assume that the next tile is the one that he needs to connect to your city or field. If you have some chance to block him, take it immediately! 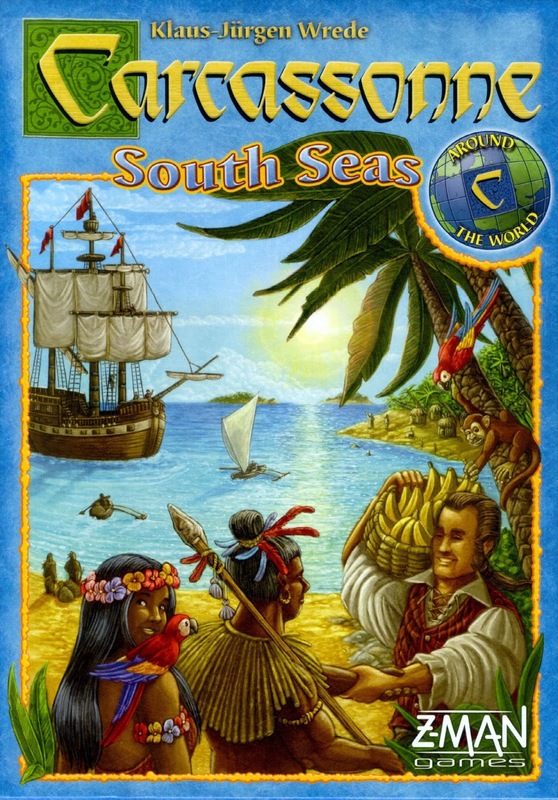 2015 marked release of another Carcassonne spin-off. Coincidentally day of release correlate with release of Force Awakens movie. That leads to suspicions that this is just another attempt to squeeze few additional bucks from the famous franchise. Is it only that? Does Carcassonne:Star Wars defends by itself? Would mechanics that were up this moment used to lay down rivers, road and meadows fit the galactic struggle? Carcassonne in its roots is an abstract game and all theme is just an excuse to paint something on tiles, so why not? Tile set consists of 76 tiles. Reference list can be found in download section. Distribution closely match the set from classic Carcassonne base set, with few exceptions, so the faction symbols distribute evenly among similar features. Faction symbols (Rebel Alliance, Empire, Bounty Hunters) are painted on some of the tiles. Usage of those are described later. Carcassonne: Star Wars spin-off expansion is coming just next wednesday, including few words regarding the expansion with grim Kylo Ren himself. Today I would like to introduce a little trick how to fit all tiles from expansion and base game into base set box without any additional inserts. Right part is made from standard insert folded in half, while left part is made from expansion's insert. Some time ago I have written about my collection of classic Carcassonne. This time it is to brag around about my collection of spin-offs. Carcassonne collection can get quickly out of control. Even after purchasing first few expansions, carrying and storing may become a problem. Moving each expansion in separate box means carrying a lot of air. Following solution allows to fit base set with few expansions in base set's box. Following pictures show tiles from old edition bit they are compatible with new edition considering size. Blocking is placing your tiles next to opponents features, in a way that they cannot be finished. Each tile may be defined by it's edges configuration. If there is road, city or field on each edge. 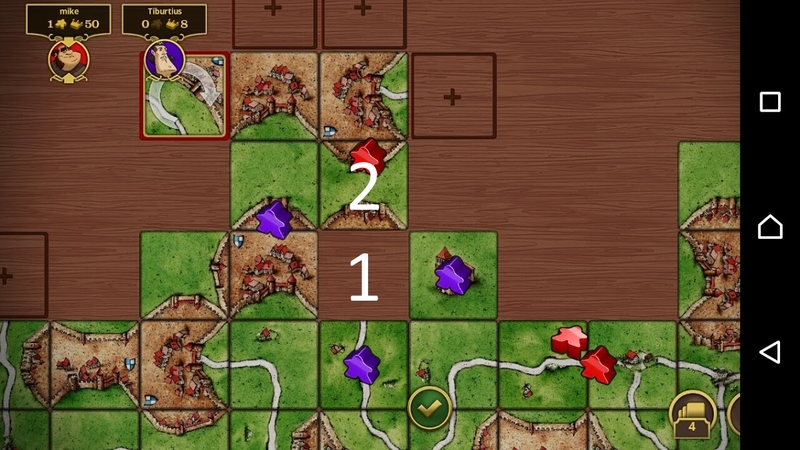 If to complete the city, player needs some tile, with configuration that so noty exists, such city is blocked and meeples occpying it, are trapped. There is no tile to fit in space 1, so neighboring city, cloister and road are blocked. Red player blocked purple player with tile number 2. Just few days ago I have received Carcassonne for 2 (2017), which re-implements Carcassonne Travel, which was published back in 2007. Following post was intended to be just a quick unboxing text with some photos, but I came into conclusion that this edition is purely about components. Unboxing is in fact a review. If you are one of those two board gamers, not familiar with what Carcassonne base game is, then you can find dozens of reviews online. Rules are exactly the same here. Last remark is even more important, because currently only German version is available.